New Video Series: Canadian Pole-Shift Safe Locations – B.C. and Vancouver Island. I have finally started my Canadian Pole-Shift Safe Location series. In this 1 hour and 3 minute video I have 3 sections: first. – the preamble is a little about my Planet X reporting background and the kick-off of my Canadian series of safe locations and then I segue into a quick overview of Planet X and the Pole-Shift. Second – I explain the geography and land-form of British Columbia as to how it relates to the Pole-Shift. Third – I cover Vancouver Island and it’s special situation with the Pole-Shift. I also have a tag on the end detailing a closer look at Vancouver Island. 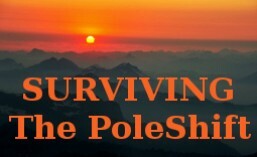 Surviving the Pole-Shift is not just about making sure you are on solid ground for the Pole-Shift, far enough from the sea, and having your camp hidden enough to avoid having to deal with aggressive survivors or marauding gangs, it is much more than that. It is about community in some form or another and is about being close enough to the sea in the After-Time as an abundant source of food. We know that many people will not be able to move closer to the sea for the Pole-Shift, so for those persons it is important then to have a massive supply of food, but split-up and cached in secret locations. Growing food in the After-Time is essential in the After-Time, whether we are doing this ourselves, or several members of your survival community are, but there is a fly in the ointment: the skies will not be what we are used to now. It’s rational to expect all the volcanoes of the “Ring of Fire” to be erupting for years in the After-Time, this is predicted by ZetaTalk. Therefore the skies will be grayed by fine ash in the stratosphere. Also, it is predicted that Earth will temporarily lose a large percentage of it’s atmosphere: this means low cloud and low air pressure for those people in very high mountains, such as South America. A dimmed Sun and reduced sunlight means growing food will be a challenge to be overcome. Low-light crops, perhaps special indoor growing environments will need to be planned for. Know your environment for the After-Time, your life and the life of your loved-ones depends on it. This entry was posted in About Planet X, About the Pole-Shift, safe locations, Videos. Bookmark the permalink. ← Future Map of North America. Hello, do you have any recommendations for Eastern Europe, possibly Poland? Thank you! So is vancouver island not safe? east coast I could see being sheltered from waves by mountains, but will they be rocked up and down to rubble and showered in ash for years? THANKS! Divinity, I did a video on Alberta, did you see it? Alberta is good, but it’s a mixed bag of good and not-so-good. okay finished your video lol, thanks for your work! Where are you headed when the stars fall down? Divinity, I am staying on the island, the coast of B.C. will be a mess, inland B.C. is almost semi-arid and away from the best source of food for the After-Time: The ocean. Alberta’s problems will be natural food availability. Hello Divinity. Vancouver Island is very safe which is why I am staying here. Obviously we have to move to the Island center, away from the coast for the Pole-Shift. Yes, agree somewhat with your summation of the east coast of Vancouver Island, but I wouldn’t be taking chances by being to close to the Straight of Georgia. No on the mountains of Vancouver Island, they’ll hold against the earthquakes and actions of the Pole-Shift.